1933 Installation is an interactive installation prototype. 1933 is now known as a popular building in Shanghai where many theaters, creative startup companies and stores are located. However, this architecture was originally built as a slaughter house. “Blood” flows down through the stairs, with people kneeling down, drinking and enjoying it without consciousness. The installation is trying to juxtapose the current capitalist/consumerist nature of 1933 with its bloody slaughterhouse history. It encourages the audience to make a connection between the past and the present. 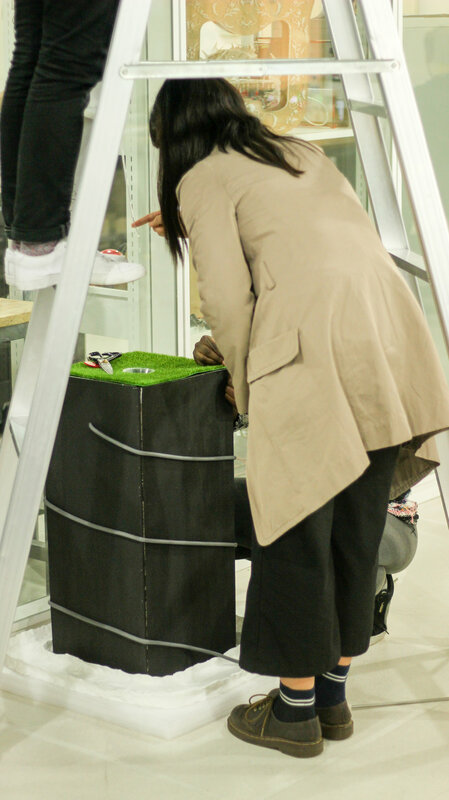 The audience are able to control the blood flow speed in this project by rotating the IV button. 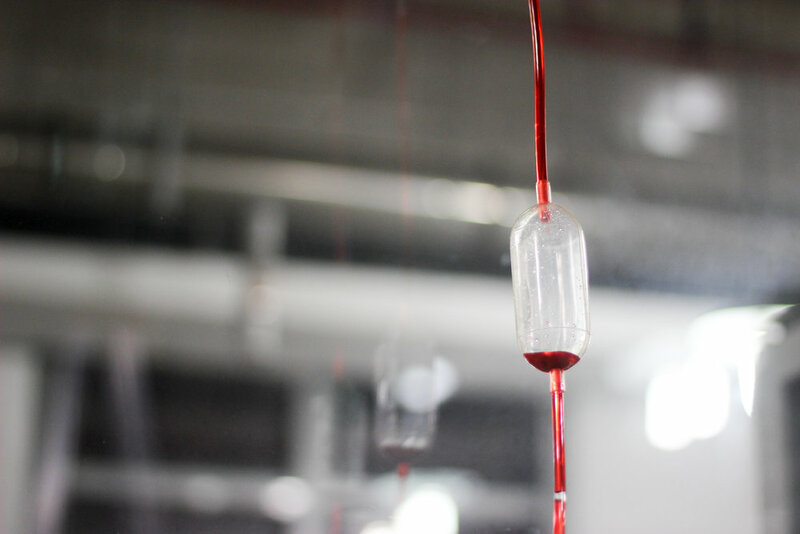 While in the real-project, the speed of the blood flow will change based on the number of visitors in the building.